The third annual Youth Summit is right around the corner! 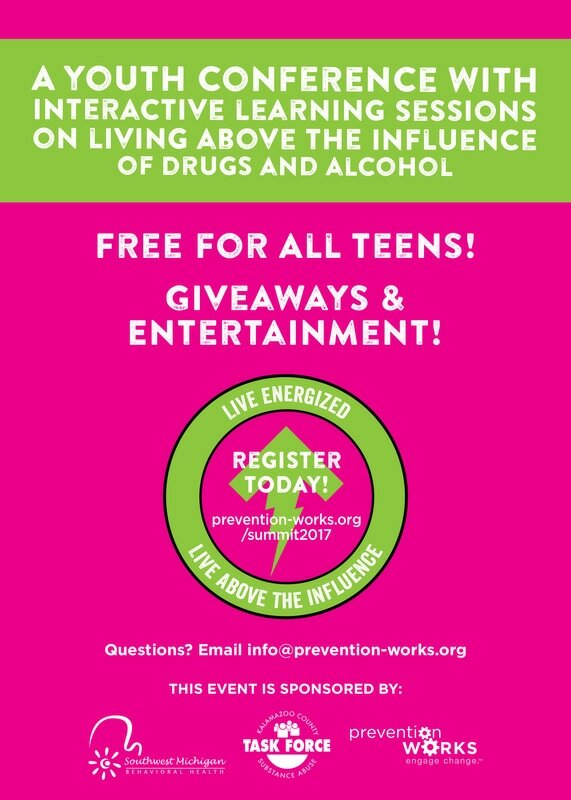 The fun-filled day will consist of games, giveaways, and learning sessions on living above the influence of drugs and alcohol. To live above the influence is to be a leader and stand up to negative influences and the Youth Summit helps our teens do just that. Teens will participate in interactive breakout sessions to learn more about the effects of alcohol and other drugs and build skills to take back to their school and community. The event is FREE for teens ages 13-18! Breakfast, lunch, and snack are included and entertainment is provided by local improv comedy troupe Crawlspace eviction! Registration is open until the day before the event but don't hesitate, sign up and get energized to live above the influence today!